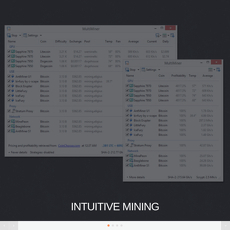 If you are new to mining cryptocurrencies like Bitcoin, then it will interest you to know that EasyMiner is a great mining software for you to make use of. 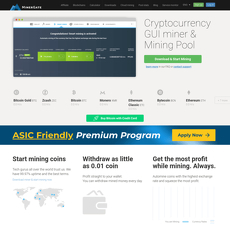 It has a list of mining pool which makes it the greatest place to kick start mining. 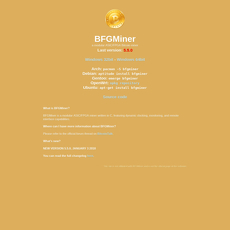 They are literary the easiest place to mine with maximum yield. One thing about the website for the software is that it has great and awesome designs which makes it user and mobile-friendly. Once you start reading its contents, you can start earning more coins instantly. 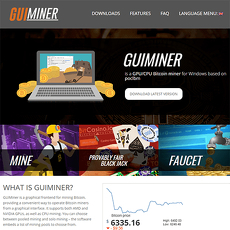 The website tells us about EasyMiner as an open-sourced software associated with graphical representations for mining cryptocurrencies like Bitcoin, Litecoin. 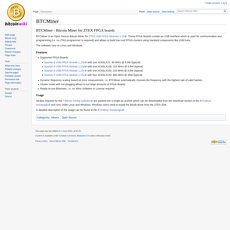 EasyMiner is free to use i.e. you do not have to pay a particular fee in using or registering on the site. This is basically what the software stands for and that is why it is one of the best if you are new to mining cryptocurrencies. 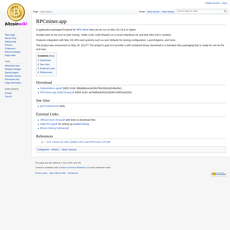 You can easily download the software from the option at the end of the page. 1. Open-Sourced: It is a transparent platform and does not require you paying a fee before you make use of it. 2. Versability: The software is lightweight and makes use of some platform’s instructions and codes automatically. 3. Wallet: With EasyMiner, you have access to a personal wallet where you can transfer or withdraw funds. There is enough security provided for this wallet. It is very easy to extend.